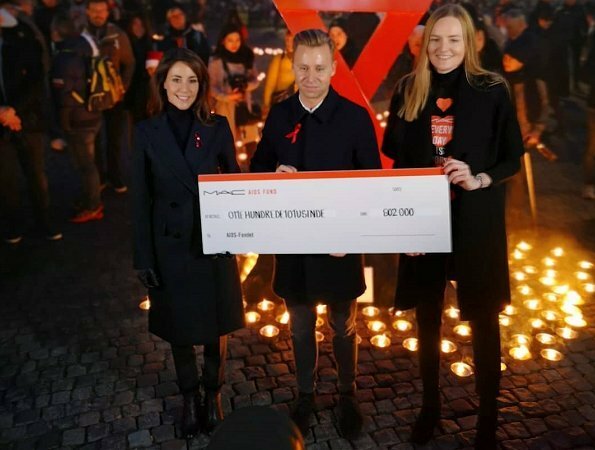 Yesterday was World AIDS Day. 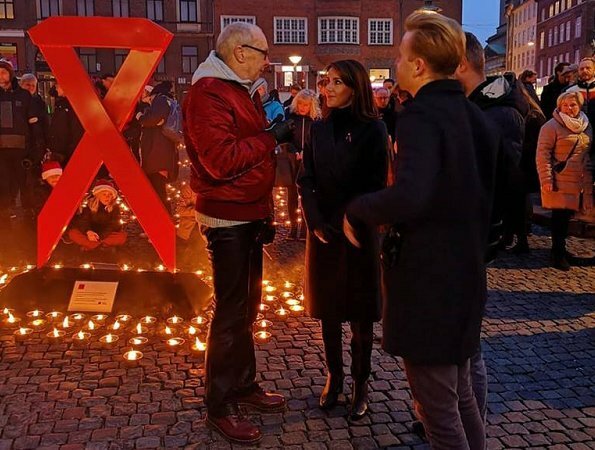 The patron of Danish AIDS Fund, Danish Princess Marie attended a memorial ceremony held for 2018 World AIDS Day at Copenhagen Gammeltorv (Old Market) Square. 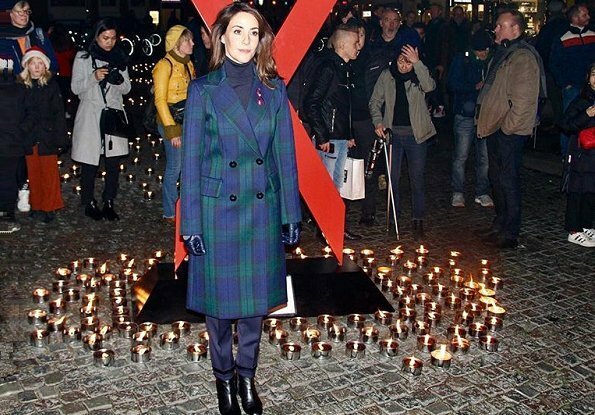 The Princess took part in the candle lighting event, a tradition that enlightens World AIDS Day. 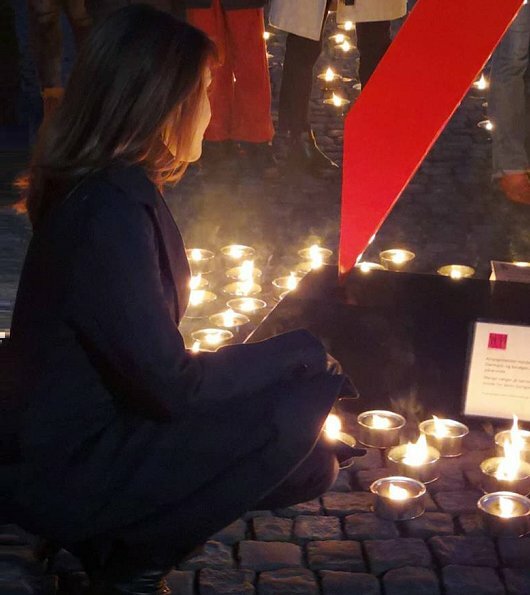 The candle lighting event is held for the purpose of memorializing every person who died because of AIDS and HIV. Nice coat. Some fashion fundamentals continue: know your skeleton/frame and wear styles that compliment. Smart choice for Marie. 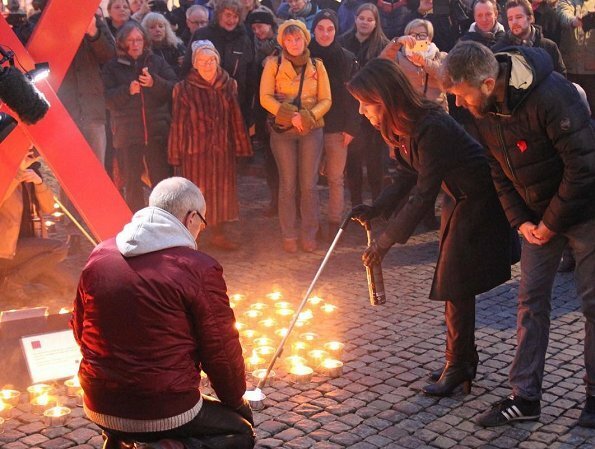 World Aids day. Love Pss Marie's dedication to her Charities. 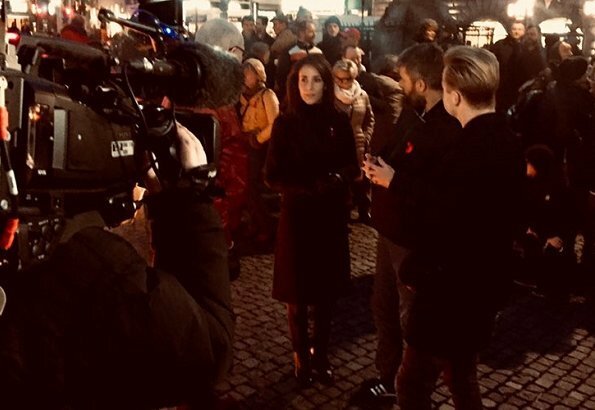 Nice coat. Meeh for me too. 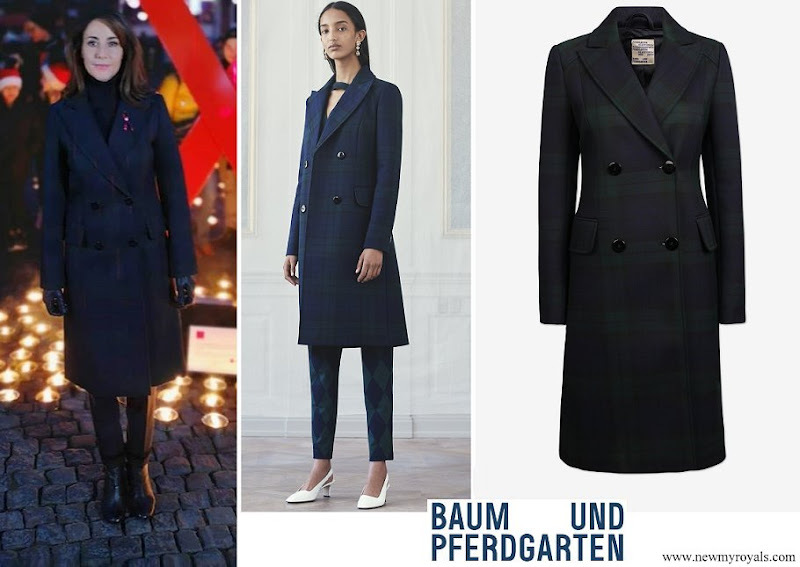 I think the coat is too large for her. Also, weird trouser length, looks almost as if she´s folded them up. You are wrong. I do like classical style, but there always seems to be something wrong with Marie, size etc. There is a difference between classical style and boring style. I don’t think Marie is always boring, but this outfit indeed does nothing for her. Can’t really see the pants, but I agree that it appears they have a weird length. The outfit is not a bad choice but she looks so pretty and relaxed in her solo engagement.